This time, wanderlust came to me. I’m fortunate that one of my good friend’s parents have a catering business in Cairo – and that they were very excited when I asked to learn some of their favorite classic Egyptian recipes. I’ve included four simple but delicious ones of the many we sampled below. These dishes can bring a light, uplifting yet warm touch to chillier days. 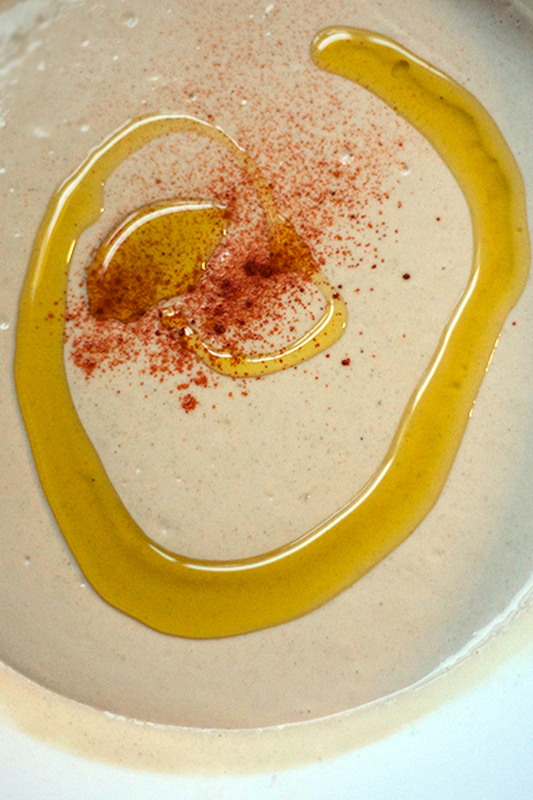 I love almost any dish with nuts or seeds, but for me, tahini is the superstar of pastes. This sauce is amazing with salads, roasted vegetables or meat, in sandwiches – I can’t think of too many things that this sauce doesn’t make better. That said, it’s still rather calorie dense, so I try to indulge in moderation. 1 clove of garlic, grated. Make sure to whisk up the tahini in the jar or can before measuring as the oil tends to separate from the solids. Then, whisk all the ingredients (except sumac & olive oil) together until the mixture has emulsified and has the consistency of honey. Then, drizzle with extra-virgin olive oil and garnish sumac to serve. This can be made ahead of time and can be stored in an airtight container for up to a week. Eggplant is one of my favorite vegetables and one of my ultimate comfort foods. When it comes to something so simple with virtually no prep-work, why not? 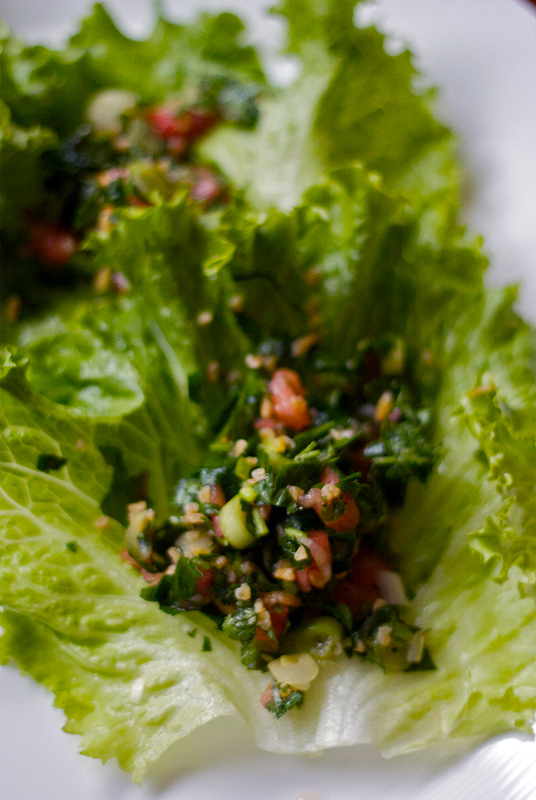 A light, refreshing dish that will never weigh you down. This dish goes with almost anything and works as a side, starter or stand-alone snack. I usually can’t find fine bulgur, so I use medium bulgur in this recipe. If you get fine bulgur, you just need to rinse it until the run-off is clear, indicating that all the starch has been removed. For medium bulgur wheat, soak it in boiling water for 5 minutes, then strain. Transfer to a large mixing bowl. Dice the tomatoes. Reserve any juice that escapes. Add the lemon juice, olive oil and excess tomato juice to a bowl. Whisk until emulsified, then add in the salt, pepper, shallots, and sumac. Whisk until incorporated. Toss tomatoes, bulgur, and parsley together with the dressing. (6) Optional: Serve two large spoonfuls per single green lettuce leaf. The highlight of the meal for me was the traditional Egyptian dish, koshari. An ultimate comfort food, this blend of rice, pasta and lentils and spices is something that I couldn’t stop eating, even when I had run out of room in my stomach. In a large saucepan, add the lentils, water, 1 of the sliced onions, and a dash of salt and bring to a boil, then reduce to a simmer for around 20-30 minutes, or until the lentils are cooked. Strain and reserve the liquid from the lentils. 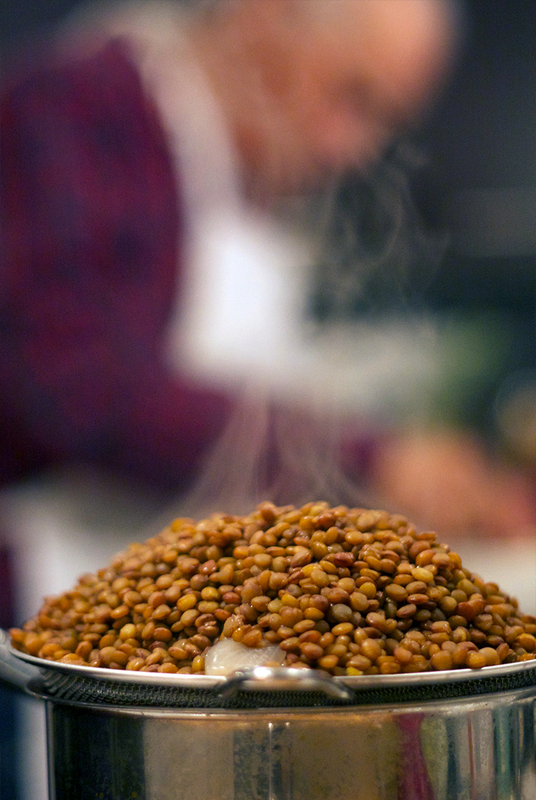 Leave the lentils in the sieve to drain. In the same saucepot (or rice cooker) add 1.5 cups of the reserved liquid to the 1 cup of dry basmati rice. Bring to a boil, then reduce to a simmer for 15 minutes, or until you can fluff the rice with a fork. In a separate saucepan, bring lightly salted water to a boil and cook the macaroni. (Follow the timing instructions on the box, but likely around 8 minutes.) Drain. Heat a pan to medium heat. Add the olive oil, then the diced onion, garlic, and cook until golden. Add in the tomatoes, cayenne, salt and pepper. Bring to a simmer for approximately 15 minutes. 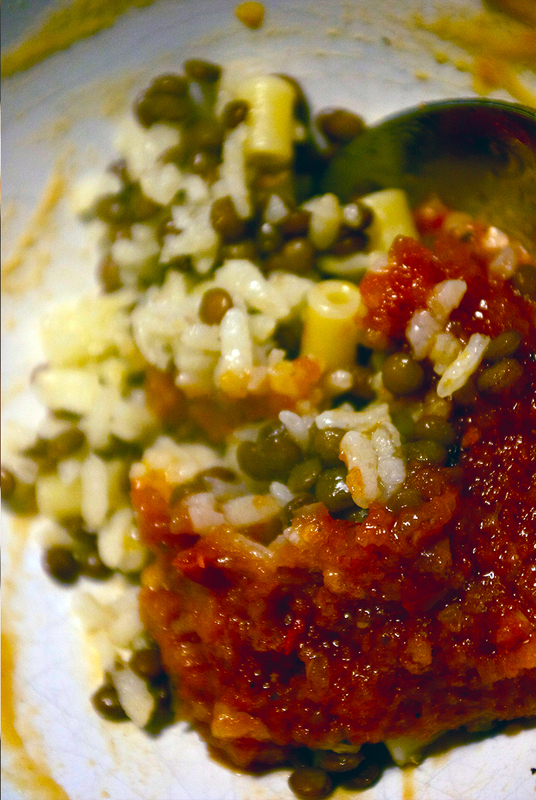 In a large bowl, stir the lentils, rice, macaroni. At this point, you can either add in the tomato sauce and stir, or you can let everyone add as much or little as they like to their own portion.